When Phoenix Calling released their debut back in 2015, Britrock was in a transitional phase. The more polished, radio-friendly acts had begun to take a back seat, and the newer acts coming through and picking up traction were those toying with rougher, weirder sounds that ultimately cultivate something bigger as the movement would progress. But then there was Phoenix Calling with Forget Your Ghosts, an album that eschewed that current mentality entirely to play to crowd-pleasing, Mallory Knox-esque anthems that would have found favour amongst acts like Canterbury and others of their ilk who couldn’t withstand the shuffle. The unfortunate thing is how that prior lack of invention carries over to Our Lost Hearts. At most, tracks like Atlas co-opt some post-grunge tones to harden them up slightly, but as far as having anything close to incendiary energy or even just relevance, Phoenix Calling leave a lot to be desired. What’s actually here is an album that can swell up to the size that its ambitions demand, but it feels profoundly hollow while doing so, not as micro-managed as some of the huge bands that once dominated this scene could be, but with little to hold the attention regardless. Perhaps the biggest factor in this is just how fine this all is. Steven Chapman’s vocals are serviceable in terms of anthemic quality; the songwriting doesn’t exactly plumb any major depths but it’ll probably strike a chord in live settings; the instrumentation is fairly standard Britrock fare but ultimately does its job; everything feels perfectly cultivated to yield the exact result that this album delivers. But that can also be seen as overly safe and predictable, and if there’s a description that would fit Our Lost Hearts like a glove, it’d be that. As much as Phoenix Calling are clearly indebted to acts like Fightstar and Hundred Reasons – the choppier guitar work of Lose This and an overall rougher presentation are testament to this – they barely ever find their own way of channeling these influences, and seem to adopt the ethos that getting from point A to point B in one piece is enough. In truth, so much of this album just blurs together because of that, a beige, homogeneous blob that frequently elevates itself above a flat, middling line. There are exceptions though, particularly when Phoenix Calling hit their most anthemic stride and the material gains an extra flash of populism that fares them well, like on Rescue Me or Fifty Four Forty Seven which pick up into bigger, more expansive songs that fit the band’s personality the closest. Beyond those isolated examples though, Our Lost Hearts does very little – the stab at venturing deeper into post-grunge on Heroes (Old Soldiers) and Sins And Thieves is burdened by the expected muddiness of the guitar tone, and for stretches at a time, Our Lost Hearts just offers nothing that really sticks. It’s a pleasant enough listen, sure, but beyond friendly platitudes like that, it’s difficult to really be complimentary. Mostly, it just feels like an album imported from a different time where this sort of thing would be much more kindly accepted, but today when British rock is beginning to find its feet again in terms of more interesting, experimental endeavours, Phoenix Calling struggle to stand. There’s nothing egregiously awful or offensive about this album, but there’s nothing particularly great either, and it subsequently falls right in the middle of the road. Perhaps there’s an audience for that, but to choose something a bit more stimulating over this wouldn’t be wrong either. 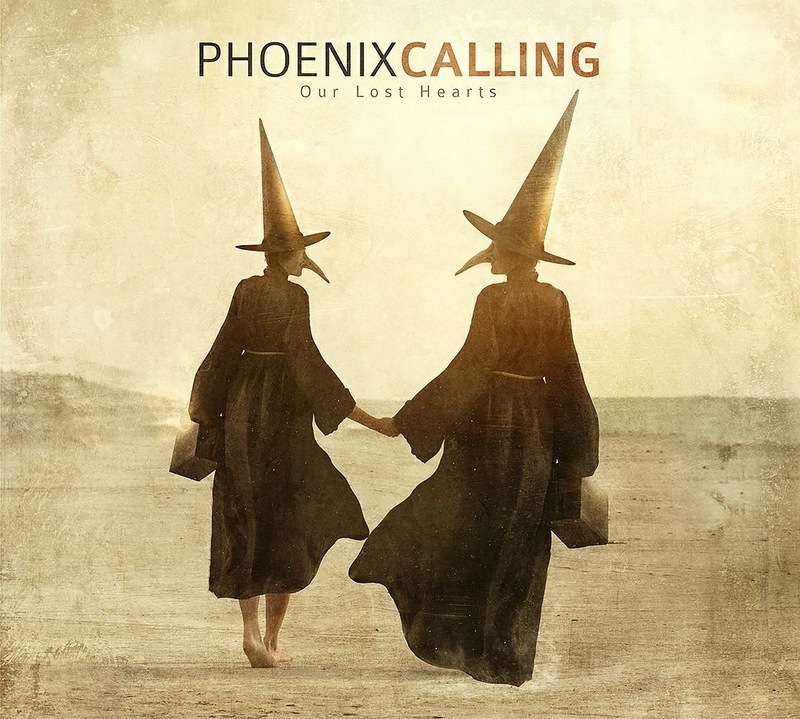 ‘Our Lost Hearts’ by Phoenix Calling is released on 17th November on Crescendo Music.